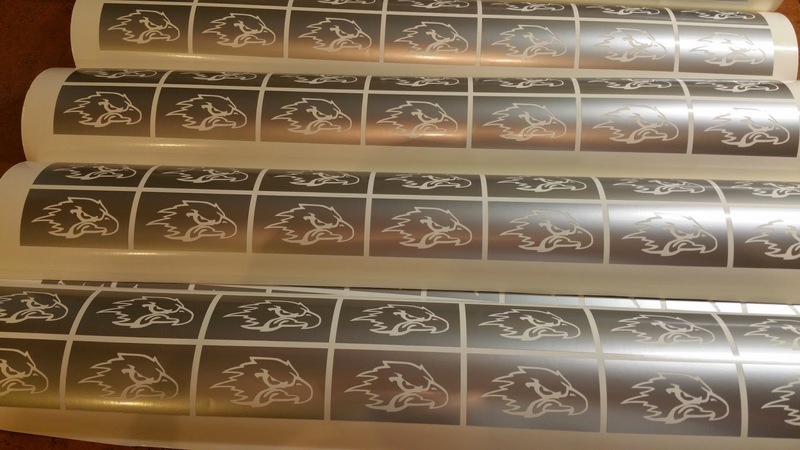 Just a quick blog post to share with everyone some of our recent vinyl decal orders. These were fun orders to create, cut and install. 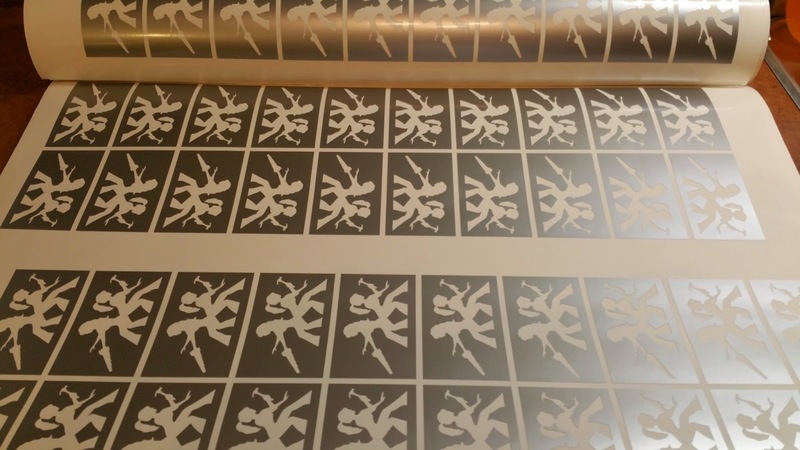 One was mentioned briefly in an earlier blog post a couple weeks ago about our busy start to the year with our vinyl decals and events we had attended. And the other two orders were for custom glitter tattoo stencils that have been shipped off to the greater Toronto area and being worn this weekend en masse. 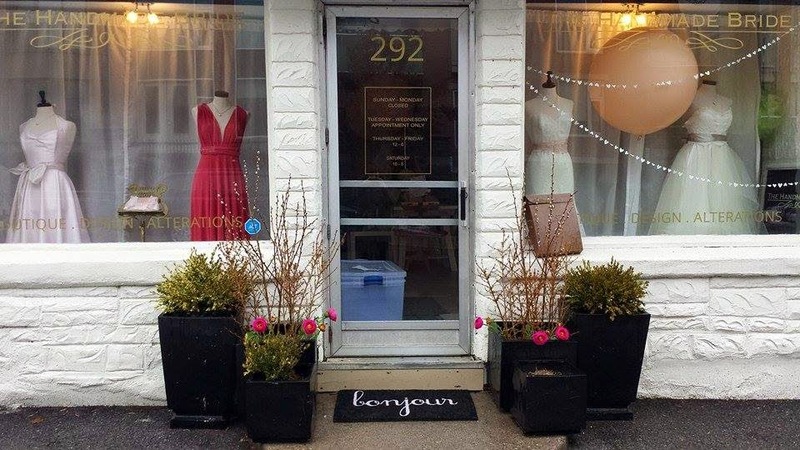 As mentioned a little while ago, we had cut some vinyl decals and decor for The Handmade Bride, a fabulous wedding boutique and shop in the centre of Ottawa that has hosted and organized quite a few popular and successful wedding industry events. The new look for the store front windows was cut in a metallic gold vinyl to replace the white and black decals that once were there as well as the old business hours and store number decals. A new store look using her new decor, colours, and branding. The following picture is a teaser and was taken by Meaghan herself. We will post more follow up pictures when we have them. 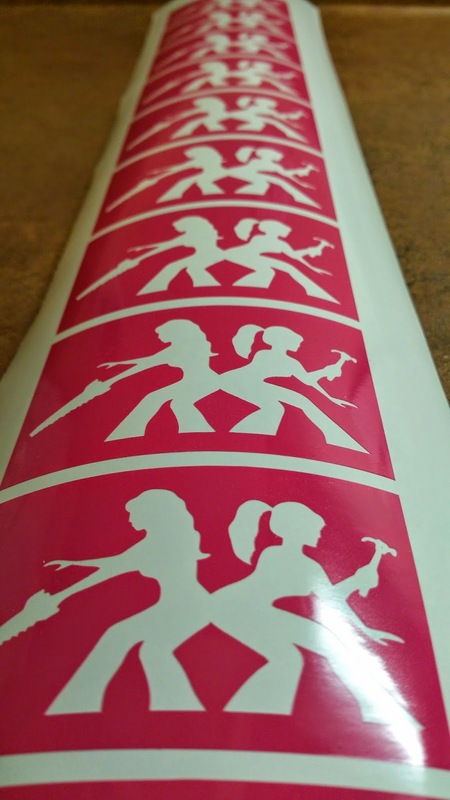 The glitter tattoo orders were custom made to represent the two organizations they were made for, with the glitter tattoo kits consisting of the custom made glitter tattoo stencils representing their brands, the glitter, puffers, glue, and brushes. One, representing Cheer Strong of the Ontario Cheerleading Federation with members and teams across all age groups and the second stencil being that of the business logo for the popular brand Moxie Trades as seen on The Dragons Den. 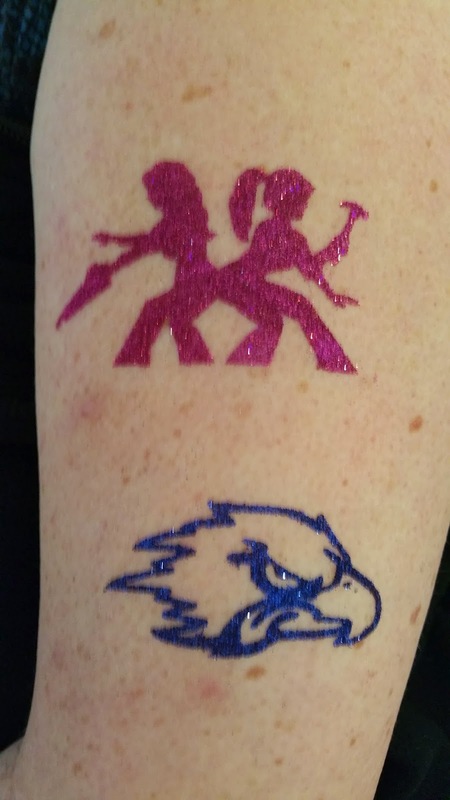 The following pictures are of the stencils themselves and what the glitter tattoo's look like. We can not wait to see these glitter tattoo stencils being put to use with each brand shimmering and sparkling in all its glittery glory.